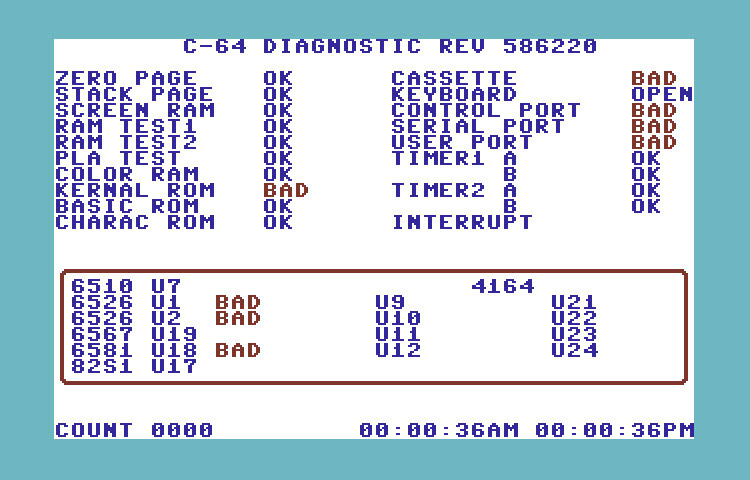 Commodore made several revisions of their diagnostic cartridge. This is the image for revision 586220. I am quite surprised how well WinVICE did with the tests from this Cartridge. Included in the archive is a PDF of the manual, schematics for a test harness and a full dis-assembly in turbo assembler format.